Clarinetist Robin Seletsky is a classically trained performer who is equally at home with the klezmer style. She lives in upstate New York and recently retired as principal clarinetist with the Glimmerglass Opera Festival after 32 years. She is a graduate of the New England Conservatory, later attended the Juilliard School, and is a former Assistant Principal Clarinetist of the San Antonio Symphony. In 2008 she was cited by the New York Times for her work with the Glimmerglass Opera, “Robin Seletsky, the principal clarinetist, blew a jazzy solo onstage during ‘Too Darn Hot’…and offered stylish solos from the pit.” Although she grew up with the sounds of klezmer from listening to her father, Harold Seletsky (“The Prez of Klez”), it wasn’t until the midst of the revival that she began her own exploration into this style of music. She has performed extensively, around the country and as far away as India, as both a klezmer soloist and as a member of her klezmer ensemble, Big Galute – www.biggalute.com. 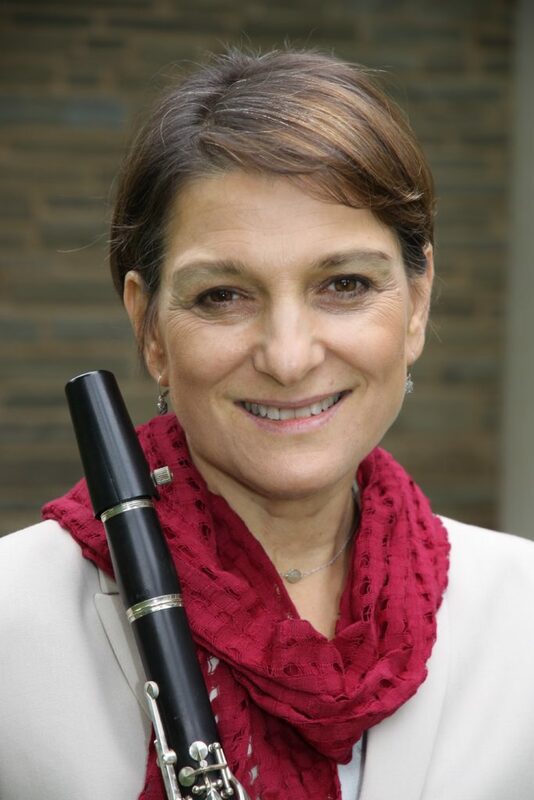 Robin has made numerous arrangements of works for klezmer clarinet and symphony orchestra and has appeared as a soloist in these programs with the Greenwich Village Orchestra, Binghamton Philharmonic, and the Utica and Catskill Symphony Orchestras. In addition to her professional performing work she is sought after as a teacher of both klezmer and classical styles. Robin is instructor of clarinet at Hartwick College www.hartwick.edu, SUNY Oneonta www.sunyoneonta.edu, and SUNY Broome www.sunybroome.edu. She has given lectures and master classes at many academic institutions including Skidmore College, Sonoma State University, Binghamton University and Hartwick College. Her professional affiliations include memberships with the International Clarinet Association, the Guild of Temple Musicians, and the American Federation of Musicians. Have you ever wanted to learn the nuances of klezmer clarinet performance? Need expert tips to improve your playing. Watch and listen over at RObin’sYouTube channel. Ready for a private lesson? Robin offers live, in-person and video conference music lessons. See the lessons page for more details.